Mars has been a mystery for many centuries, a planet that has captured the imaginations of scientists and artists alike. We don’t know exactly who discovered Mars, since, just like Venus, this planet is a bright presence in the night sky, capable of being seen even without a telescope. While we already knew many things about Mars, from its distance from the sun (227 million kilometres) to how long it takes for the planet to orbit it (686.93 Earth days), we’re still far from understanding the planet. However, since its first close-up photograph in 1965, the secrets of Mars are slowly becoming unravelled. The first thing we notice about the fourth planet from the sun is its red colour, easily observable from Earth. 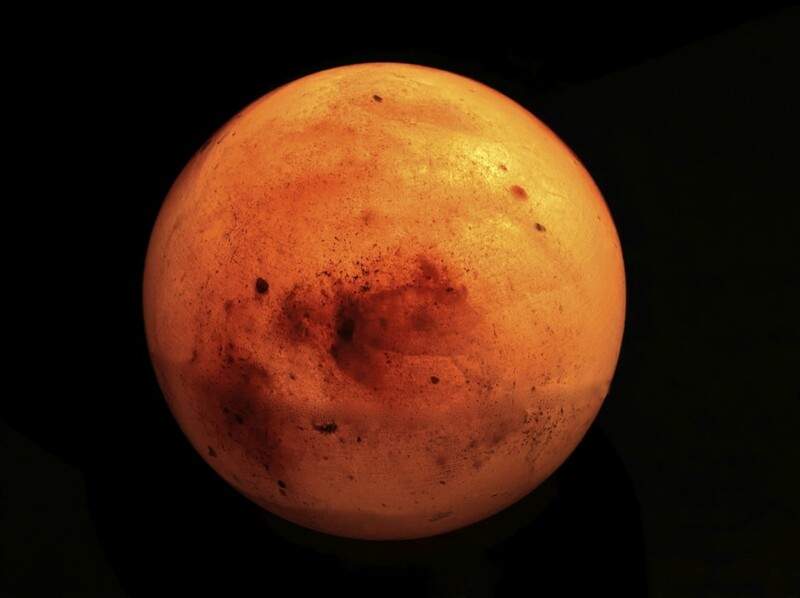 It’s the reason the planet is called Mars, as the Romans named it after their god of war. Other civilisations were equally fascinated by the colour of this planet, like the Egyptians who named it ‘Her Desher’, which means ‘the red one’, and the Chinese calling it ‘the fire star’. The main reason for this colour is due to the fact that the Martian soil has plenty of iron-rich minerals covering its surface. While before it was believed that the cold, thin atmosphere of the planet didn’t allow for the existence of running water, last year NASA’s Mars Reconnaissance Orbiter confirmed the high probability of liquid water flowing on the surface of the Red Planet. This is one of the most important findings about Mars, because it means life could be possible. As for its geology, Mars has some of the most interesting features of the Solar System. It has polar caps, like Earth, and may even have winter weather similar to ours. Mars’ Olympus Mons is the highest mountain and volcano in the solar system, standing at 27km tall, and Valles Marineris is perhaps the deepest (10km) and longest valley (4,000km) in all planets. Mars has two moons, Phobos and Deimos, discovered in 1877 by astronomer Asaph Hall. Their names derive from the mythical horses that pulled the chariot of the god Mars, and they may very well be captured asteroids. Since the early 1960s we’ve been sending dozens of spacecrafts to Mars, half of which have been able to send surface data back to Earth. The most famous craft might be the Curiosity rover, which landed on the planet in 2012 and is continuously transmitting information about the surface. An interesting and, according to many, slightly sad fact about Curiosity is that because it’s alone, every year it sings itself happy birthday! Currently, NASA has many different missions to Mars happening at once, with the intention of exploring and analysing the planet in order to give us a deeper understanding of how its climate, atmosphere and geology work. The Mars Global Surveyor accomplished something incredible from 1996 to 2001. This global mapping mission analysed the entire planet, including its ionosphere, atmosphere, best landing sites for future probes and surface telemetry. The craft went out of commission in 2007, but the information it compiled is still invaluable today. A major part of our missions to Mars is the possibility of finding life there – or discovering that life did exist at one point but present-day Mars is barren. NASA’s Mars Exploration Program has a very specific assignment to achieve, which is called ‘Seek Signs of Life’, and which can hopefully give us more insight into the subject. There are many missions set to launch in the near future, mainly to further explore the surface of Mars; and not just from NASA, as other space agencies, such as China’s National Space Administration and the United Arab Emirates’ Space Centre are currently interested in studying the planet as well. These missions are focused solely on sending unmanned spacecrafts to the surface of Mars, but human missions are likely to be occurring soon as well. Mars One intends to establish a human settlement on the planet permanently, and is set to launch in 2020, while the European Space Agency plans for humans to land on the surface between 2030 and 2035. 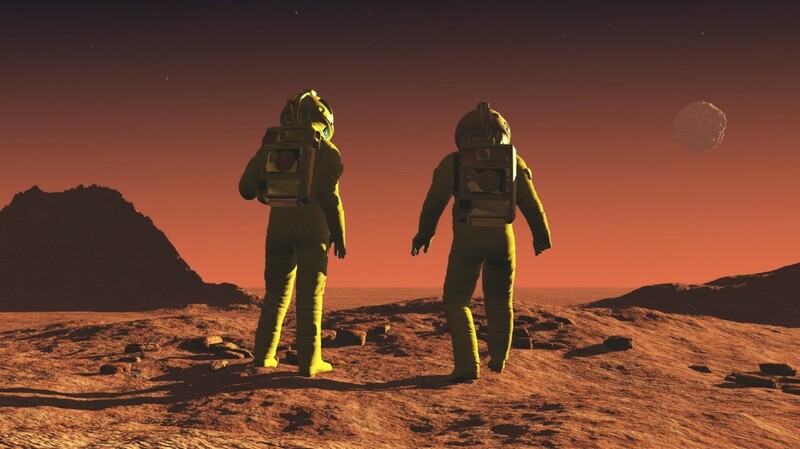 The fascination with Mars has permeated popular culture as well, with many science fiction novels and films being set on this magnificent, mysterious world. It’s no wonder, then, that people want to know more about a planet that has the possibility of being our second home, and so many engineers have dedicated their careers to this line of research. With technology and engineering advancing in great leaps all the time, it’s likely we’ll soon learn even more about a planet that has turned many eyes to the sky since the inception of civilisation. At Airedale Springs we’re constantly looking to the future and excited at what is being discovered everyday! We’re proud to provide products and services that can help engineers and scientists realise these remarkable achievements, so please don’t hesitate to contact us at anytime to learn more about our range of springs and wireforms and how we can help your business!